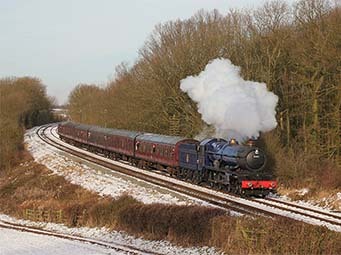 Will we be filming 6023 out on the mainline in 2014? What would you like us to make films of in 2014? Vote for your favourite topics below! We intend to make a minimum of 5 films this year and they will be to a higher standard than before, in full HD. We have put in a few ideas for subject matter – two of them are our sponsored projects – but please add your own suggestions in the ‘Others’ box. We will endeavour to take up the most popular ideas. We are also looking to collaborate and share footage with anyone with a good quality HD camera. If you would be interested in that, please get in touch. 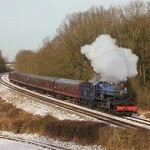 For example, a number of us could film, say, The Torbay Express at a number of locations on the same day which could then be edited together to form a portrait of that particular loco.